This is the most important step and we want to make sure we help you get it right. Mineral make up foundation is the first thing we look for since it is the base which makes the canvas for adding your other shading choices. 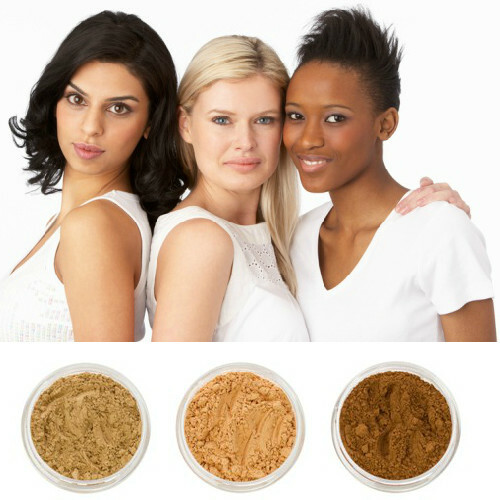 Our mineral foundation is available in 3 formulas, one just for your skin type. These formulas are described at the top of each page of our color palette, including a page displaying all 21 shades. Specific skin tone categories are also available to help narrow your selection. Determine your skin type and then select your perfect shade. When you find a shade that is close to your skin tone, such as fair, medium, olive, tan or dark, click on the shade choice. 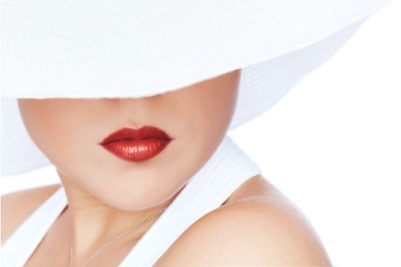 You'll find a detailed description of the shade including undertones and overtones of skin. Alternate color suggestions are given with shades that may also work for your skin tone. We have eliminated the guess work! Here you can see our models with their correct shade match. Blush choices are very simple and they work beautifully to provide a natural flush to the face without looking over done. Click on any blush shade for a full color description that assists with working with the best skin tones. Tip...choose shades similar to your lipstick or lip shine and you can't go wrong! 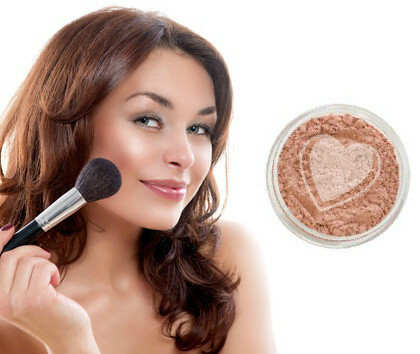 Our mineral blush colors can be soft and subtle or used to add vivid shading to your cheeks. Within some blush descriptions you’ll even learn how they can be used as a face color for correcting certain skin tones and giving a brightening effect. These are excellent products for enhancing your complexion and are more of a personal preference and subject to your desired finished look. 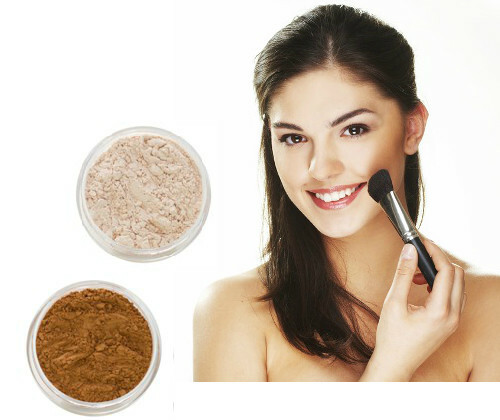 Choose from 3 shades of bronzer for different skin tones. One for fair skin to give a soft, pretty feminine look. Basically an enhancement for a dewy complexion. Another with deep golden brown undertones when tanned. And the third with reddish brown undertones when tanned. These superior mineral make up formulations are simple to use and float on the skin without leaving a fake, muddy or caked look. We provide two mineral veils, one for a softness with an airbrushed look without irritation, while the other aids in soothing blemished skin. Easy to use and they feel delightful on any skin type! Explore the vast array of our versatile Eye Color palette. Our mineral eye shadows are gorgeous, sophisticated, fun and easy to use. 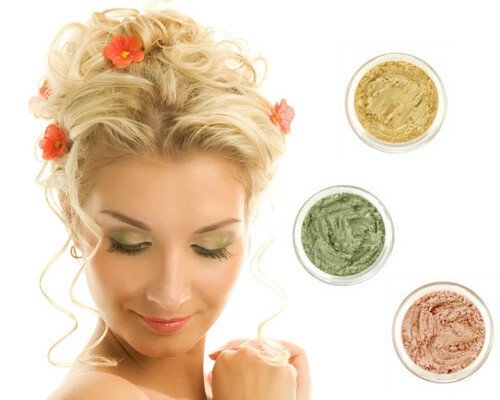 Like all the other mineral make up products on our site, you are greeted with a vibrant palette of exquisite color choices. Take your time and enjoy the radiance of each color. To simplify this, we have divided them into shade categories for selecting your favorite shade of a particular color tone. Full product descriptions are available with each color, including a notation for using it as a face color, a cheek color booster for evening, or to create a dewy complexion. The sky is the limit with our eye shadows. They are not just colored mica, but are formulated within a unique, premium eye shadow base, giving them outstanding staying power. You can apply them wet or dry. Depending on your application technique you can get them to appear intense or muted, for the desired effect. Here comes the makeup artist in you! Applying mineral makeup is easy to master. The techniques are simple and with Sterling Minerals practically mistake-proof. Using one of our high quality mineral makeup brushes will eliminate any frustration and be more gentle on delicate skin. These 100% vegan friendly professional brushes have the softest bristles you'll ever feel! Buff lightly in a circular motion…no need to over buff! For more detailed application instructions see our flawless face techniques and tutorials for each category. Select your favorite shade from one of our natural organic lip colors. Our lipsticks and lip shines soothe and moisturize while adding a beautiful touch of color to your overall complexion. Use alone or combine for your own unique look! You’re going to love your beautiful new complexion!